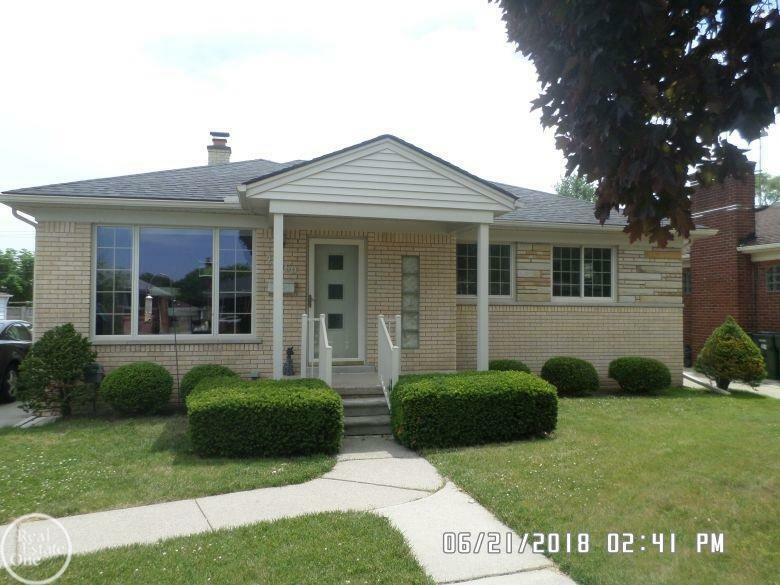 Quick possession on this 3 bedroom brick ranch located on desirable street with Lakeview Schools. Living room w/wet plaster & cove ceilings. Space saver kitchen w/ceramic tile floor, double sink & sub zero refrigerator. Door off eating area to rear yard. New carpet throughout (hardwood floor under carpet). Ceramic tiled bath. Open basement w/half bath & glass block windows. Copper plumbing. 100 amp circuit breakers. New roof (house and garage) 2016. New garage door. Fenced yard.